Directions for Use : Use once or twice a day. Wet face with water, work up the lather and gently rinse away. Pat dry with soft towel. Avoid using your bathing soap on face. Plum Goodness is a brand whose products are really safe for the skin. They only approve good ingredients and keep the bad ones away, making their products safe for use. I was really excited to note that Plum products are a perfect combination of safe and approved chemical, natural and organic ingredients. This fact about Plum attracted me and I started trying their Pore Cleansing Green Tea Face Wash. I checked the ingredients list and saw that this contains SLES, which is milder and safer than SLS. I don't like face washes, in summers, that do not lather. I want that fresh feel for my skin. So, I am glad that this face wash lathers nicely and I need only 5 drops of this for my whole face. Plum green tea face wash contains green colored natural cellulose exfoliating beads that are gentle enough and are non-abrasive. The beads do not dissolve and gently remove dead skin cells from the skin. This face wash is prefect for daily use but you definitely need to use a better scrub once a week to unclog your pores. It also contains glycolic acid that helps prevent acne. Green tea extracts used in this contain the polyphenols, which are the anti-oxidants and are really great for the skin. Phenoxyethanol, as plum says, is safe for the skin and is used as an replacement to parabens. After exploring all that I was feeling great and then after 15 days I have started noticing the difference. My skin looks much better. I now know that products that do not irritate the skin really matter. I have been using all kinds of facial cleansers that contained harsh irritants but after using this facewash my skin looks healthier, brighter and acne has also reduced. This is one of the best face cleanser. I use this soap free cleanser twice daily. My skin used to get extremely dry after using some face washes but this makes sure not to over-dry my skin. It maintains the good health of the skin. It also prevents new acne formation but I do get the occasional pimples here and there because of our modern lifestyle that brings stress with it. I also use the Cipla Saslic Foaming Salicylic Acid Face Wash on alternate days to control pimples and acne. Overall, this is a good face wash for acne. I just wish that the packaging was a bit more travel friendly because the cap is not that tight and the product will leak if you keep it in your purse. Also, I would request them to reduce the price of this cleanser so that everyone can afford this. But, for me this is an investment for nourished skin. I highly recommend this face wash to all of you out there with oily skin or combination skin type. This would suit you the most. Among very few others, this is the best facial cleanser for oily skin. 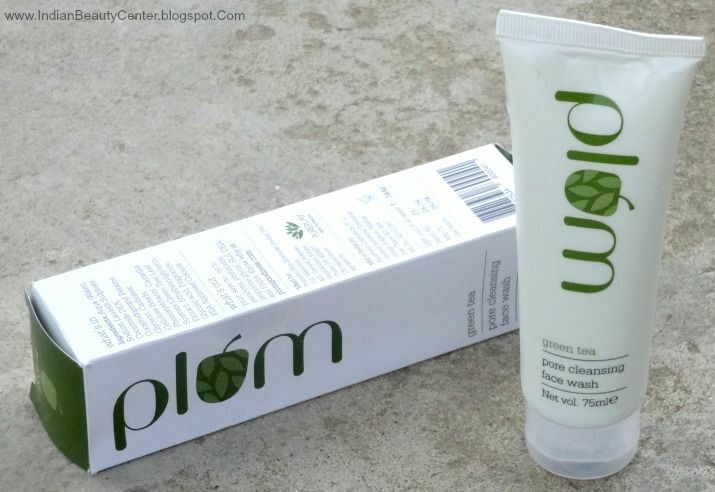 For dry skin types, Plum has its own range of products that you can check out on their website. I found Plum really good for my skin and thus I will also try their Hello Aloe Skin Loving Face Wash from today and will review that for you after some days. 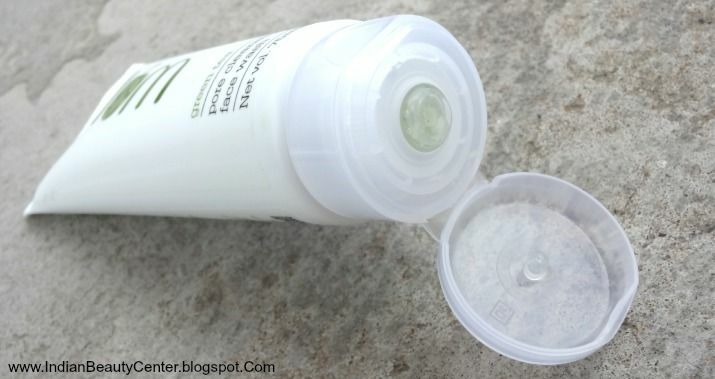 I have also placed an order for Green tea Mattifying Moisturizer and waiting for it to arrive! Loving Plum products! I've never heard of this brand either! Sounds good. Amazing! Nice post, beautiful pictures! Ohh. . I do love this brand products. 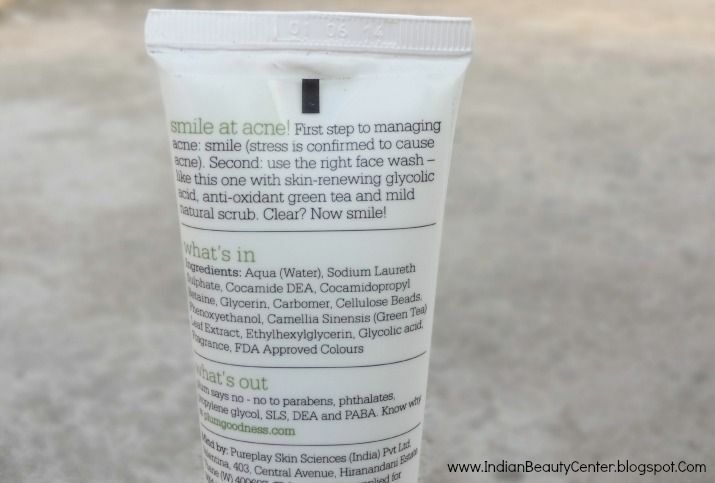 Will try this face wash.
Green Tea Face Wash is hydrating your skin and also make skin soft and oil free. The green tea cleansing gel is highly concentrated so to get the effective result, you must apply it on your face as per guidance. 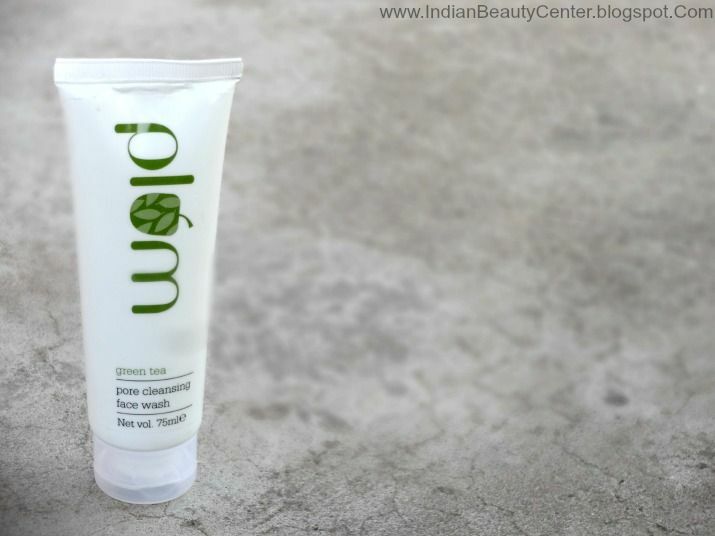 This cleansing gel is helpful by reducing the risk of breakouts on your skin.